Enjoy the things you love, without jeopardizing your pearly whites! Wine Nots discreetly eliminate mouth discoloration caused by red wine. They taste great and freshen your breath too! 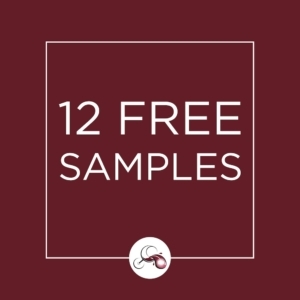 For a limited time enjoy a sample pack of Wine Nots on us. Try them out, share with a friend and share your experience on social media. Just cover the shipping & handling. $12.99 USD $0.00 USD Sale! Please direct wholesale inquiries here. Get the latest Wine Nots news! © Wine Nots • YYC3 Inc.